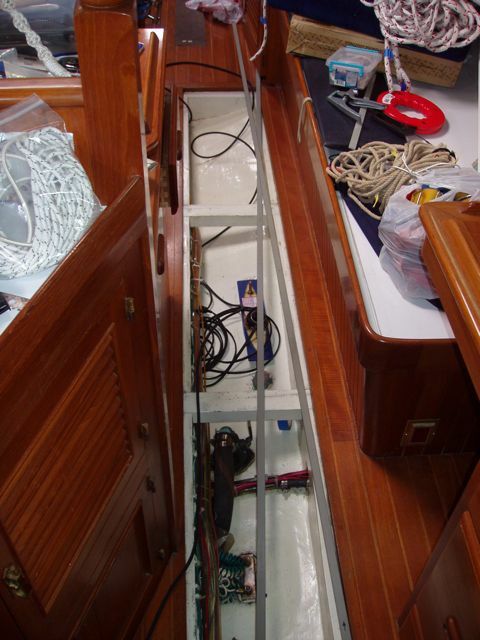 As you can imagine, we left our poor boat in an immense mess before returning to Alaska. 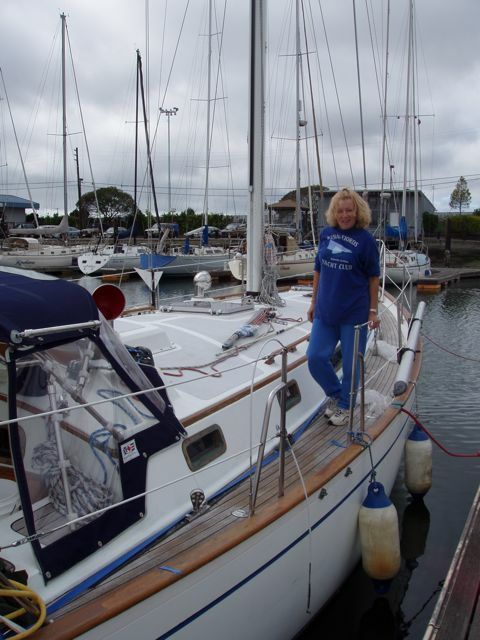 She had a month's worth of oily boat yard grime on her hull and topsides, no boom mounted, and none of the new electronics connected. We had time to strip her of all removable gear, but now that needed to be returned and packed. We also had changes to make to meet the requirements of our new insurer. The disassembled binnacle. Normally, various instruments flank the compass that rests on the platform in the middle. 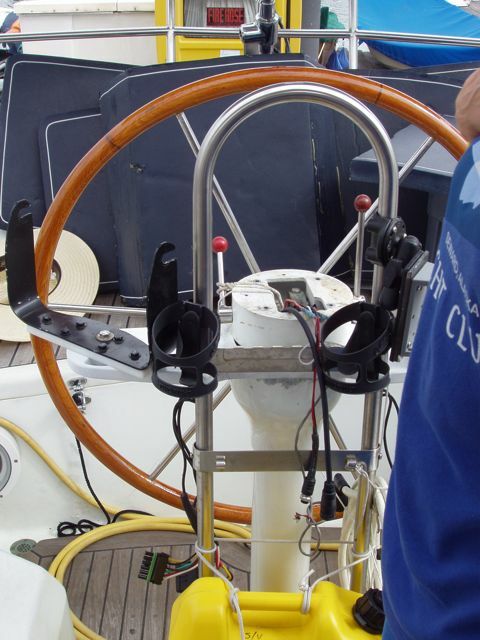 The pair of cables that are dangling from the binnacle head are for powering our forward-looking Probe sonar and powering our C80 chart plotter. These will be accompanied by a radar cable (coiled at the right side of the binnacle), a new Probe transducer cable, and a new Raymarine sonar cable. Will they fit? 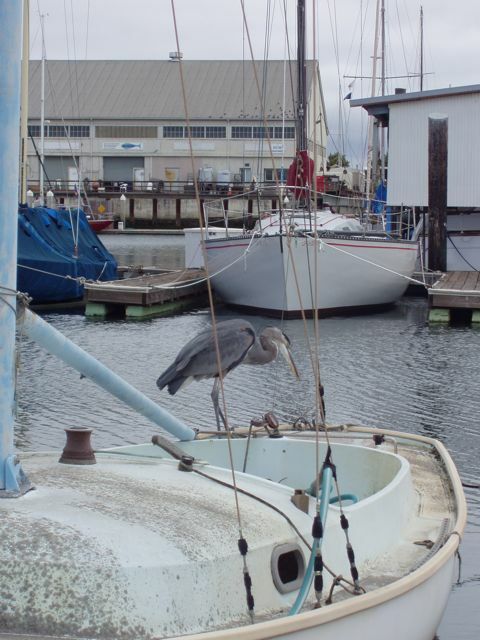 Wings, unready to travel, rests at Fortman Marina. 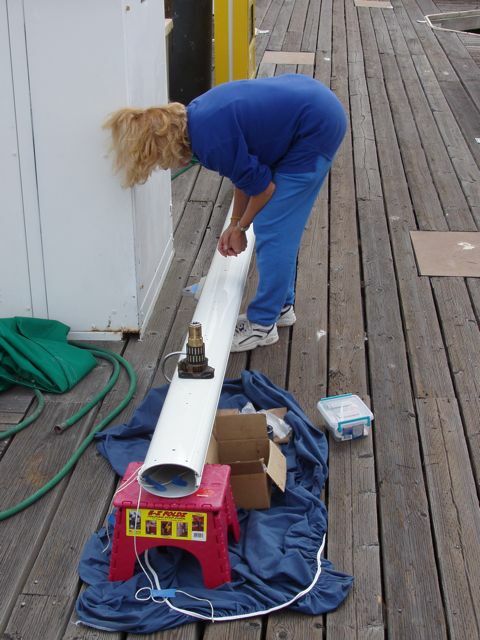 Conni works on the boom. I have just installed the winches. The can lying on the dock is lacquer thinner, the best alround solvent for icky things that we've ever come across. Frank in Vancouver introduced us to it. 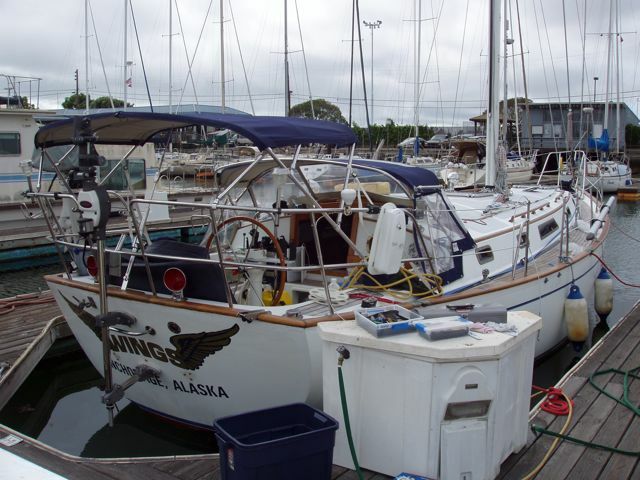 With amazing effort, lots of muscle, and a host of chemicals, Conni rid the topsides of greasy boat yard grime, a mixture of paint, oil, and ground-in dirt. The main cable sole lockers full of cables that need to be attached to instruments. The new Raymarine sonar transducer is at center with its cable wrapped around it. The new Probe (our wonderful forward-looking sonar) cable spirals in from photo top. Happy 84th Birthday, LaVerne! 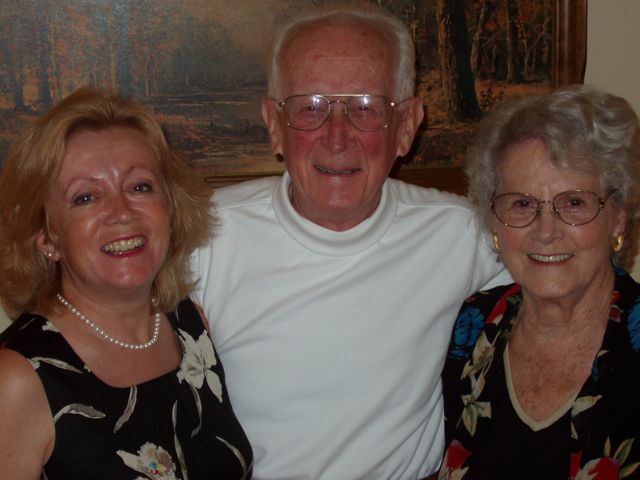 Conni, LaVerne (Conni's dad), and Joyce. We had a fine meal at Vic Stewart's Steakhouse. I recommend the Cowboy Ribeye.